Beau completed his PhD in Human Development and Family Studies at the Pennsylvania State University with emphasis on research methodology and prevention science. He then completed a postdoctoral research fellowship in Emergency Medicine at the University of Massachusetts Medical School. 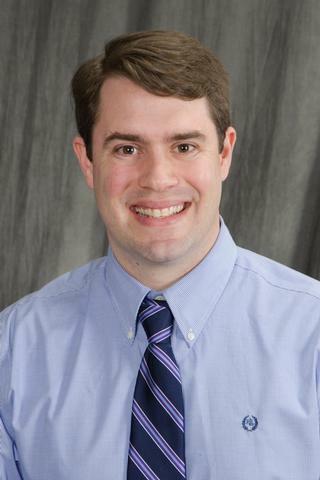 Beau joined the URMC following a period as Assistant Professor of Pediatrics in the Alpert Medical School at Brown University. His research focuses on identifying and eliminating barriers to efficacious treatment for behavioral health concerns. His most recent work focuses on access to care for depression among older adults. Holub A, Lee J, DeRienzo V, Nobay F, Abar B. "Depression symptomology groups among middle and older adult emergency department patients." Journal of affective disorders.. 2019 Feb 15; 245:484-487. Epub 2018 Nov 05. Abar B, Greener E, DeRienzo V, Botelho S, Wiegand T, Conner K. "Perceived access to care among adult patients who attempted suicide." Psychological services.. 2018 Aug 0; 15(3):305-308. Amato S, Nobay F, Amato DP, Abar B, Adler D. "Sick and unsheltered: Homelessness as a major risk factor for emergency care utilization." The American journal of emergency medicine.. 2018 Jun 2; Epub 2018 Jun 02. Author List: Abar, B., & Winsler, A.